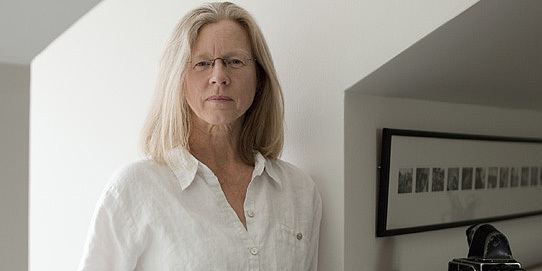 Acclaimed photographer Lynn Johnson will join the S.I. Newhouse School of Public Communications as a visiting professional in the multimedia photography and design department (MPD). Johnson is a contributing photographer for National Geographic. She was recently selected by her fellow photographers to receive the third annual National Geographic Photographer’s Photographer Award. 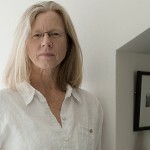 She has also won major honors from World Press, Pictures of the Year and Communication Arts, and received the Robert F. Kennedy Journalism Award for Coverage of the Disadvantaged as well as the Soros/OSI Documentary Photography Grant. Her images have appeared in several books and such publications as National Geographic, Life, Geo, Fortune, Newsweek, Smithsonian and Sports Illustrated. Johnson also has extensive experience in the nonprofit sector and has worked with foundations including the Ford Foundation, the Heinz Foundation and the Robert Wood Johnson Foundation. Johnson will begin working with undergraduate and graduate students this semester in the MPD CORE (“Create, Observe, Reflect, Engage”) Projects course. Under her mentorship, students will propose, research and begin to plan a personal project. At the beginning of the summer, Johnson will hold an intensive 10-day period of lectures, discussions and field work, at the end of which students will begin work on their projects. Later in the summer, Johnson and the students will gather again for another 10-day seminar, this time evaluating, editing and developing either exhibits or multimedia productions based on the students’ projects. Johnson will continue to work with MPD students during the 2013-14 academic year. “This is a rare opportunity to learn from a ‘photographer’s photographer,’” says MPD chair Bruce Strong. Johnson earned a degree in photographic illustration and photojournalism at the Rochester Institute of Technology. She was a Knight Fellow at Ohio University, where she earned a master’s degree from the School of Visual Communication. She was a staff photographer at the Pittsburgh Press for seven years before becoming a freelancer, shooting for Black Star and Aurora Photos. Johnson is currently represented by the National Geographic Image Collection. View Johnson’s work online at www.lynnjohnsonphoto.com.